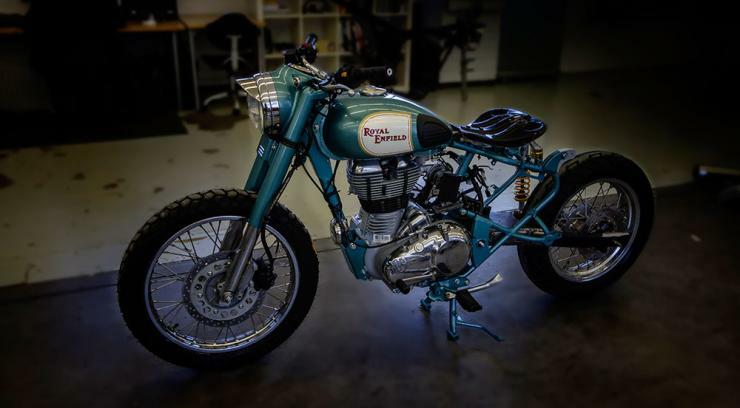 Royal Enfield has built two custom motorcycles and they quite wild. 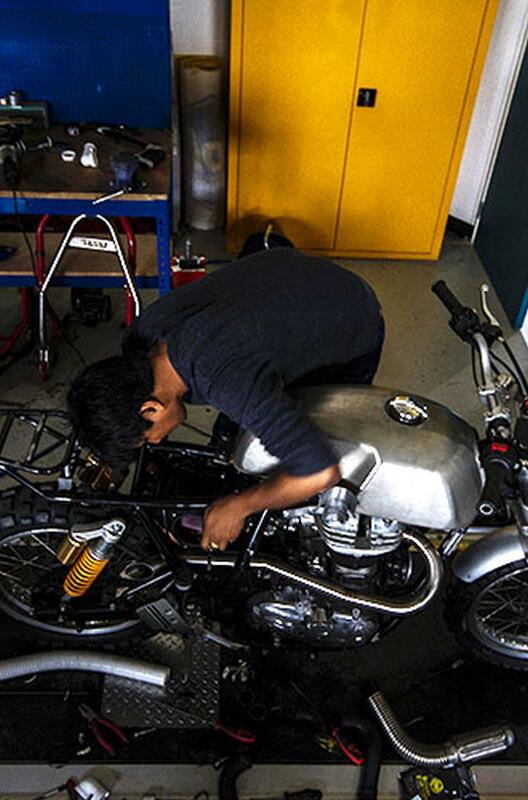 How about the world’s first turbocharged Royal Enfield? Well, that’s one of the custom bikes that the retro motorcycle maker has christened as Mo’Powa’. The other custom is called the Dirty Duck. 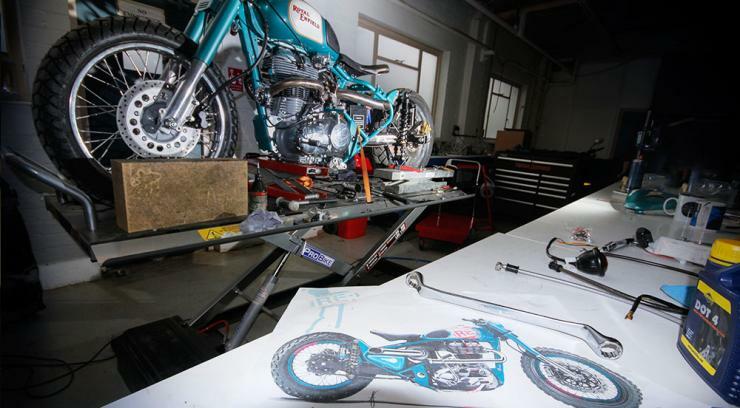 Both custom bikes have been built as a part of Royal Enfield’s Wheels and Waves 2016 campaign. Let’s first look at the turbo job. The Mo’Powa’ is based on a Classic 500. 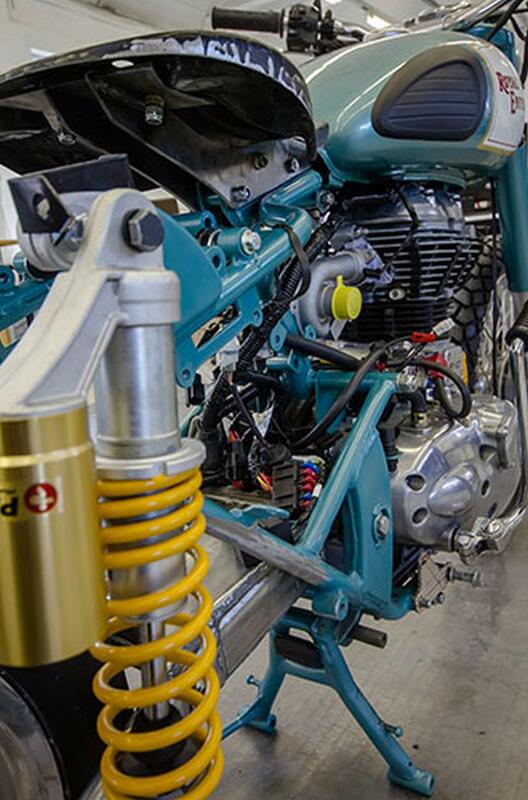 The 500 cc engine features a turbo-charger, which is the biggest modification on this bike. The air box makes way for a free flow pod filter while the rear suspension is now a monoshock unit. Another interesting change is the longer swing arm that bumps up the wheelbase, giving this bike a dragster stance. Royal Enfield has yet to reveal horsepower rating though. 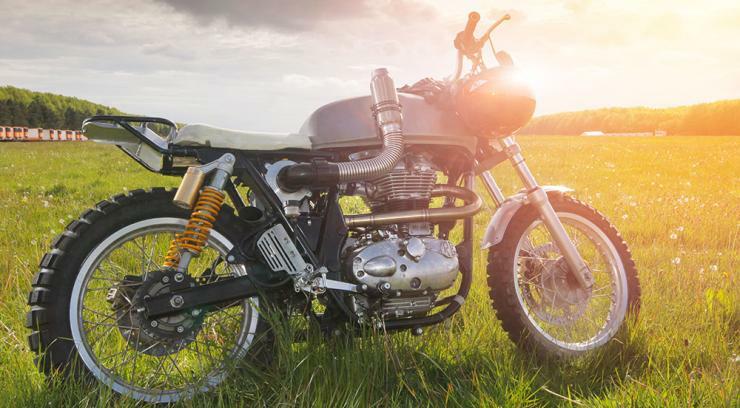 The Dirty Duck is when cafe racer meets scrambler. Based on the Continental GT 535, the Dirty Duck wants to take you off the road. You get aggressive-looking knobbly tyres, a flat handlebar, a new single seat and a luggage carrier. 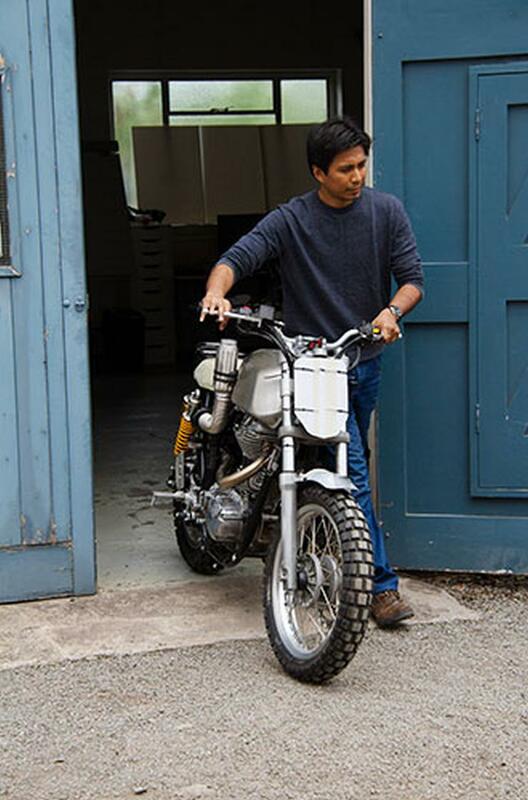 The exhaust goes scrambler-style while the air filter gets a snorkel attachment. Well, this one seems ready to ford streams.